Meyerhoefer & Kumpf's Ragged Rider: Tales of a Cowboy Mummy: New Short Story: "Buzzkill Buzzards"
New Short Story: "Buzzkill Buzzards"
Buy things at our Store! Live in the wild west and can't pick up your own copies of our issues or shorts? 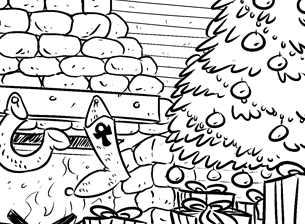 "No Way, Noel" or; "Spread that Christmas Fear"
is a humor/adventure all-ages comic by Andrew Meyerhoefer and Seth Kumpf. It follows the Weird Wild West adventures of a mummified bounty hunter who can't take anything seriously and his one-eyed horse who won't take his nonsense. How they're still best friends confuses even us. We guess they just both really like shooting at ghosts, skeletons, and draculas. Still want an issue? Check our local stores! 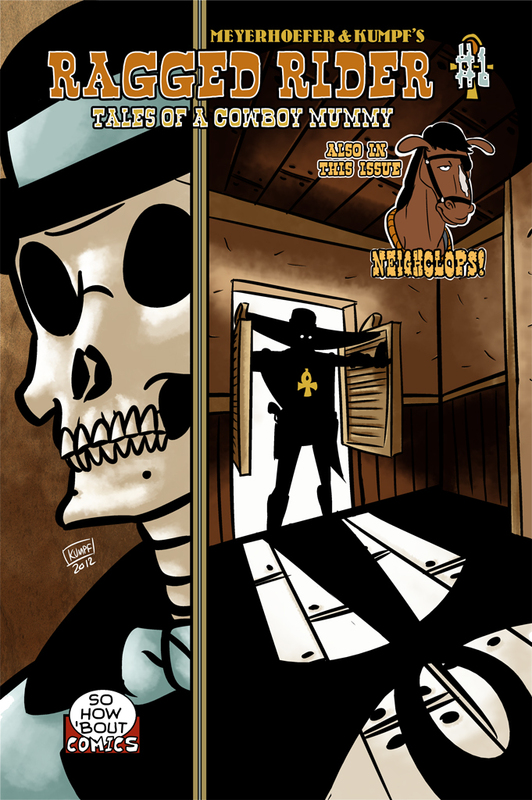 What's that new "Cowboy Mummy" page all about?